Say Hello to the NEW Slaying Social! As long-time readers will know, we, Lia and Christina, are the reigning queens of existential crises. More often than not, said crises do little more than bankrupt our local grocers of their Nutella supply. Other times however (when we hit pause on the panic eating), these crises instead yield some really good ideas. Dear slayers, this is one of those good ideas. Now, the reason we’ve been a little quiet is because we’ve been hard at work behind the scenes retooling and rethinking what it is we want to accomplish here at Slaying Social HQ. And after a lot of pensive mulling, today we’d like to wade through all our cookie crumbs, coffee stains and salty tears to finally present to you… Slaying Social 2.0. You see, since the creation of Slaying Social, we’ve primarily focused ourselves on the “how” of social media. 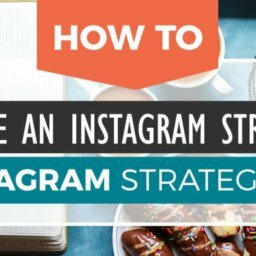 HOW to get more traffic from Pinterest, HOW to get cool Instagram themes, HOW to navigate algorithm changes without setting ourselves on fire. This was great, and it made us feel tremendously fuzzy when our community began to see results……. but at the end of the day, we were still consumed with questions of “why”. Why are we travel bloggers in the first place? Why are we chasing all these numbers and metrics? What is it all for? What does it all mean?! … and after we put our tear-soaked Nutella away, suddenly, it all clicked. Part of us still felt empty and unfulfilled because we lost sight of our “why”. And as we looked around us, it seemed clear that we weren’t alone. Every day a new aspiring influencer would pop up, asking how to sleuth their way to freebies, game the system to get more followers or you know, achieve the new life goal of becoming “Insta-famous”. … but that’s really not what this industry should be about (at least not for us). We truly believe that we can do much better than that. That’s when we realized… Maybe the internet doesn’t need more shallow tips on HOW to be a travel influencer or HOW to make money… maybe, what we really need is a resource that teaches us how to do all those things meaningfully, in a way that satisfies WHY we got into all this to begin with: to help people and make the world a better place. We truly believe that influencers and content creators have the power to become changemakers, and Slaying Social 2.0 is here to reflect that. (After all, let’s be honest, how many of us actually started all this because our life goal was to pimp out watches on Instagram?) Not us, that’s for sure. And so, Slayers, we’re switching gears. From now on, we’re moving beyond just Slaying Social media. Instead, our new focus is on Slaying Social……….. influence. What does that mean? Well, if you’re here, odds are you have a platform of your own (a website, YouTube channel, etc. )… and whether that platform has an audience of 10 or 10 million, we think you have the power to use that platform to create change. Our new goal for Slaying Social 2.0 is to empower you with the tools and resources you need to navigate this wild industry of ours in a way that feels right. Not just growing your online presence for no reason, but purposefully and intentionally, in a way that supports the issues that you care about most. So… you! Yes, we’re talking to you… and ANYONE with a platform and the power to reach people. Bloggers? Yass! Freelance writers? Totally. TV hosts, YouTubers, Podcasters? Move on in. If you have a voice that people listen to in any capacity, we want Slaying Social to be a space for you to learn, grow and scheme with fellow creators on how to make the world a better place. As full-time travel bloggers, travel is our thing. We know it well, and we know how the industry works. We never “niched” Slaying Social down to travel because we were greedy and wanted to help as many people as we could, but with time we realized each industry has its nuances and specific problems. So, for instance, while we adore food bloggers and would love to help them, our feedback probably wouldn’t extend past “dayum Brenda, that’s a nice quiche”. And after dissecting our reader surveys to discover 95% of you are in the travel industry anyway, it seemed like a no-brainer. That’s why moving forward, Slaying Social will focus on the travel niche moreso than any other. Plus, given the relative newness of the whole travel influencer industry, most of us still panic cry when forced to deal with the unique issues of our field, including responsible tourism, overtourism, and all that other fun stuff. We understand that being a travel content creator is challenging. That’s why we want to turn Slaying Social into a community and resource hub for travel content creators who actually worry about these problems and want to do things right – those who want to lead with value and create content that matters. Because we’re firm believers that turning your art into a business doesn’t have to mean selling your soul. When we created it, Slaying Social was meant to fill a resource gap we saw missing in the industry – clearcut social media advice that didn’t make us want to light ourselves on fire. At that time, both of us had built our businesses largely thanks to social media so we thought it made sense to focus on just that. 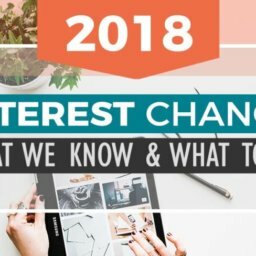 We loved keeping you in the loop about social media, but when 2018 came along with its clusterwhat of algorithm changes, scandals, Zuckerberg going to Congress to explain the Internet (lol remember that?) and a million other crazy things, we realized how dangerous it was to rely solely on platforms we didn’t own. 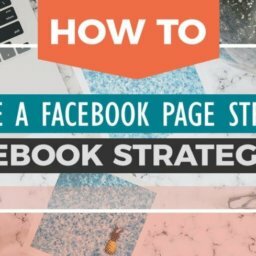 The truth is: social media, while very important, is only one part of an overall strategy you need to be successful. And as our businesses have evolved, we’ve become wise to the importance of so many other things nobody ever talks about – higher level things like email marketing, conferences, in-person networking and cultivating an actual loyal audience. And so now we’re shifting Slaying Social to reflect that new resource gap. If we’re going to use our platforms as vehicles for change, these platforms need to be polished and damn impressive. We’d like to help you with that. That’s right folks, we’re kicking things up to “advanced” up in huurrrr. Last but not least, this is the most important change for Slaying Social 2.0. The main “driver” anchoring our content will be how we can we use our influence to make the world a better place. As in… how can we create content that inspires and provides value to people, while doing it in a way that makes us feel satisfied and happy? To put it simply then, Slaying Social 2.0 will be focused on a value-first approach to social influence. So less “HOW TO GET A MILLION PAGEVIEWS AND MAKE A BAJILLION DOLLARS IN 10 MINUTES” and more “How to create a strong community through your unique personality….. and make a bajillion dollars.” You know? So, if your goal is to create a community, and not just a following – then the new Slaying Social is for you. 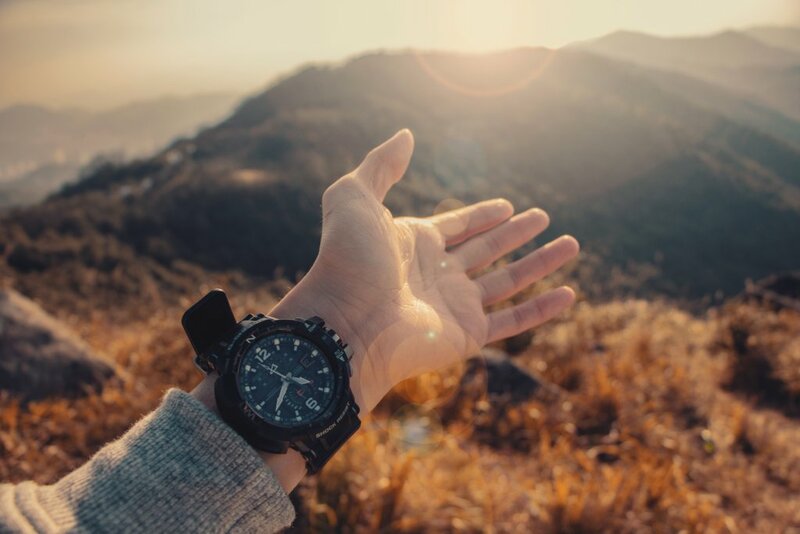 If you want to use your influence to make the world a better place, and not just work with brands & sell watches – then the new Slaying Social is for you. Long story short, it’s time for a brand new Slaying Social, one where success is quantified not just by numbers or money, but impact. It’s a hefty vision, but our aim is to bring the soul back to travel content and raise the bar in our industry because as great as followers, pageviews and and income are, nothing compares to the feeling that you’ve made the world a better place in some way. Alright, enough of the Care Bear mushiness. 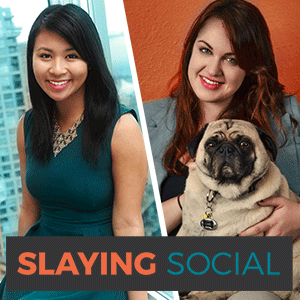 Stay tuned for a lot more epic content to come… Until then, cheers to the new Slaying Social! It’s time for us to create impactful travel content. But first…. vodka. LAST BUT NOT LEAST: Join our new Facebook group! It’ll be one big cuddle puddle of helpful discussion, advice and occasional hair compliments. Join it here. Hello Christina! My name is Paula, and I am a travel blogger and Youtuber from Colombia (writing mainly in Spanish but all my videos have English subtitles, and the majority of my IG Posts come in English as well). I left my stable job more than a year ago (I am a journalist) and I’ve been travelling since then. Nevertheless, suffering for money has been frequent in this one-way-ticket-trip and I really need to monetize with the blog and its Social Media (I´ve been doing everything til now to help other travelers). Any advice for sure would be precious!!! Ladies…loving the new direction!! Thank you for seeing past the superficial and going for community and positive impact. My travel blog (http://www.wanderluluu.com/) is all about empowerment through solo travel. My goal is to inspire every woman to take at least one solo trip in their lifetime in order to experience the personal growth and self-awareness it often yields. I specialize in boutique-style, locally-owned, and eco-friendly accommodation and tours and encourage responsible/ethical tourism. I am sooooo pumped by this changed in direction and downright inspired that you’re choosing value as your main focus! Thank-you for creating a community where we can connect with like minded content creators and make our little slice of the internet a better place! You’re so sweet, Eva! Thanks for the vote of confidence! I am SO here for this! Excited to see the growth of the brand and a focus on bringing some substance into travel content creation – so I say HELL YES!! Psyched to see whats coming next! Love this! And super excited for the change. I teach style and travel advice on my blog (https://www.mapsandmuses.com/) because it’s what I know after working in the fashion industry. But I really want to encourage people to live their best lives. I did everything “right” in my life. I graduated high school, went to an amazing college, graduated with a Bachelor’s in 4 years, participated in 2 kickass fashion internships, and landed a full-time 9-6 job IN MY FIELD right after graduation. And after all that, I wasn’t happy AT ALL! I spent years feeling like I was chained to a desk, not able to take more than 1 day off at a time, and just not living my life. I luckily fell into a remote job working for my friend’s social media company so I quit my 9-6 and finally went to Europe, a place I had been dreaming about for years. My life has never been the same and I will never go back to the office life. Travel is my passion and I want to inspire people who are really unhappy with their lives that they can change it. Travel and remote working is only a laptop away. Hey Ladies, I’m a travel writer from Minneapolis MN. I don’t think a vacation needs a lot of time, just weekend. Most weekends I’m touring the Midwest and blogging about it on http://daytripper28.com. Check it out! Thank you – this is just what I needed to read today! I have been thinking so much about the “why” lately and the need for more voices to add to a meaningful dialogue around finding common ground through travel. (Like so many others, the death of Bourdain has hit me very hard…) I look forward to being engaged here. You can find me at http://www.wanderingroadblog.com and on IG at https://www.instagram.com/roadwanderblog/. Way to go, ladies! Makes me love ya even more. My main platform is my website, https://www.thefamilyvoyage.com, where I aim to show parents that they *can* still travel (and it can even still be fun!). We’re almost done with our family gap year (OR ARE WE?) and so I expect to hunker down sometime later this year and get even more focused on the business end of things. This is awesome! So pleased you lovelies are back!! Look forward to joining your Facebook group. So excited for this! This is exactly what I need right now- I’d stopped caring about th numbers game on social media but hadn’t really managed to take a step forward still since then. Can’t wait to see what’s to come! My main platform is my blog http://www.escapesetc.com where I focus on affordable travel by saving on the unnecessary stuff and knowing when to splurge for a unique and enhancing experience as and well as being super down to earth. Thanks so much for all your work guys, Slaying Social is always my go to site! You ladies are amazing! I love this new direction/mission. I would love to use my platform to advocate for environmental issues and to empower women. My audience is still small but I do my best to speak of these topics 🙂 So excited to see your new contents! Exciting to see this take off and continue this conversation! I work in environmental politics for my day job (as an organizer, not an issue expert). So on my blog I’m super torn — there is so much awful, unsustainable stuff going on in the travel industry. But I don’t have the depth of knowledge to really know that trying to write about sustainability wouldn’t just end up contributing to greenwashing. (like forreal, let’s all stop pretending steri pens can save the world. not that they’re not great. they’re just not THE solution.) And a lot of the time the real issues aren’t easily exposed by just doing some googling or talking to locals — it can take years of research to really understand the impacts of a project. so I’m hesitant to comment on the sustainability of anything in the travel industry while knowing I don’t have the expertise or capacity to really evaluate it. And I worry about the “sustainable travel blogging” trend overall leading to a lot of really mediocre advice and self-congratulation on projects that ultimately just further contribute to consolidated corporate power and environmental degradation. Anyway, joined the FB group and looking forward to hearing others’ thoughts about how to use our blogs for social good! Wow those are a lot of amazing points. Sustainable travel can mean SO many things, and we definitely aren’t experts – but we’ll be doing our best to find people who ARE experts and hopefully get their help designing some best practices that can help answer some of your questions and address some of those points! This is really exciting news, ladies! Congrats on the new direction! I’m excited to see where it all takes us. I run a travel blog with my husband. We promote teaching ESL as a way to live abroad and travel the world. We are now teaching English online and living in Puerto Vallarta, Mexico so we also offer advice on digital nomad life and, of course, travel tips. Ladies, this is awesome!! So exciting to read about this new direction you’re taking with this already fabulous and super helpful site. I recently launched a travel site and have used your site RELIGIOUSLY for all things social media. This new step forward will just make you guys even more helpful. Please feel free to visit my site, any feedback is appreciated and would be incredible coming from you guys! I love this! With my travel planning business/travel blog — https://wanderyourway.com — I really try to plan travel for my clients in which they are not checking places off a list but connecting with the places they are traveling to. And the blog reflects that. I think this new direction is so important. Because it’s not about how many likes you have or views you have, it’s about who you are connecting with…who you are helping to be a responsible traveler. Can’t wait to see how this pans out for you 2 ladies. But I think it’s a wonderful new direction. Love this so much! My sister and I blog about sustainable places/ways to eat while traveling. We’re college students trying to graduate with as little debt as possible, so we don’t get to travel nearly as often as we’d like to, but we fill empty weeks with sustainable ways to recreate something that we tried while traveling or creating cute cupcakes/cakes that are sometimes inspired by a place we’ve visited! I think this is wonderful!! (and apologies for not signing up earlier; my inbox was buried under a deluge). This is exactly what I’ve been hoping for – I’m far more interested in making the travel world a better place than I am in super-fast growth (being somewhat tiny at the moment), and helping fellow anxiety sufferers to take the plunge and get out there. I really do look forward to seeing all the discussion that’s going to come about. I also run a Facebook group where my readers can ask questions.